What can I say? Yet another glorious vape from FluidVapor! This is a very smooth tobacco flavor with hints of other sweet flavors. Just picked this up today. Not always in the mood for fruit or drink flavors, so I thought I would give this a try. Wow! What a great vape! Very smooth with a fantastic flavor. Seems to have a hint of vanilla....just the right amount. I can vape this all day! If your looking for a nice tobacco juice, you can't go wrong with this one! I'm not big on the fruity or infusion flavors, so I decided to try Velvet. Amazing! I was hooked on the flavor instantly and have made it my every day e-juice. 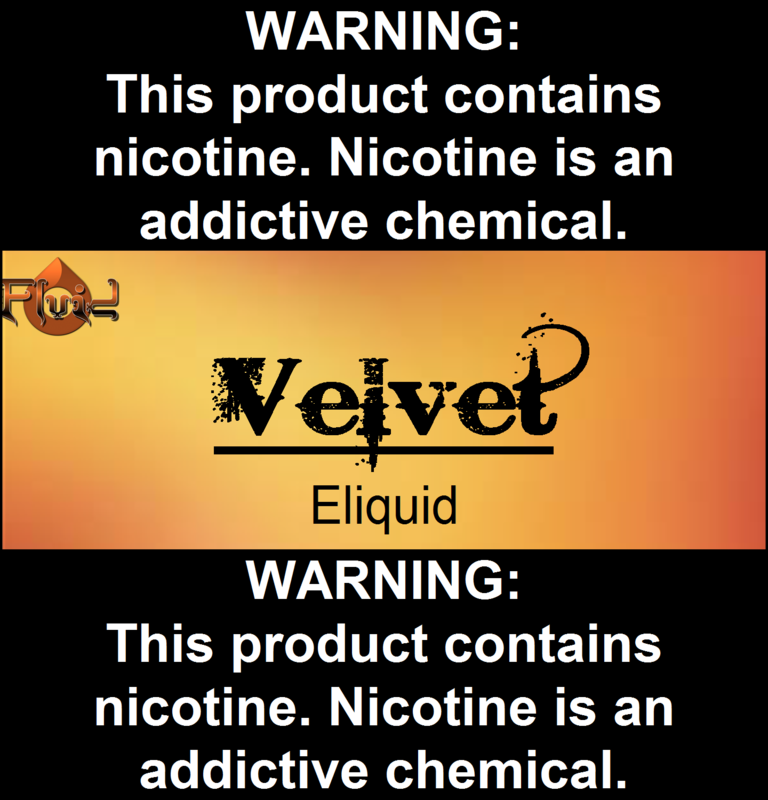 It blows away other companies versions of a "smooth tobacco". The hint of vanilla is what makes it so distinct. If your going to try some, get a bigger bottle, because you will be ordering more anyway.